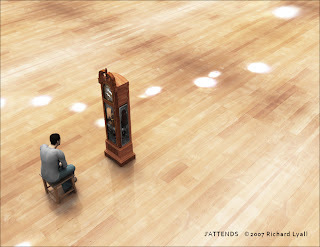 Meanderings and Reflections: The many interpretations of waiting! Thanks Me. Glad to have you join the Meanderings. I must admit, I'm not good at waiting. I'm always on time and expect others to be so, too. There are places in the U.S. where one can expect to wait - when getting a driver's permit renewed or going to the doctor. I always bring a book with me to pass the time. Martha, it will do you some good if you spend a season in India. Life will seem more meaningful after that! I must say that you are blessed to be in a land that offers stuff quickly. Oh my...our worst 'waiting' is when you are scheduled for a doctor's appt. You wonder why they schedule you for 9 am when in fact they can't see you until 12 noon. Attorney appt's also have a habit of making us wait. It is frustrating, but I have learned to take something with me that I am able to work on. I mean really, why let that time go to waste? I make the best of it and get the most done LOL. Great post!! Here, in India, we wait for almost everything. In this given time, we wait for the electricity to come and light up our lives! Yep, waiting is a part of life for us, Susan! It can get damn frustrating too. I do many things online to avoid commuting and waiting including working from home :). I think the longest wait I had was to hold my kids in my arms when I was expecting and before that the long wait between the engagement and marriage when hubby was abroad :). Thanks for coming by, dear Rachna. Welcome here. And you are my 300th follower. Happy happy! I wonder how you are managing in India after your stint in America. Life just goes by when one waits and waits. I am waiting to connect with an agent, just one perfect connection. It's brutal having a passion. Nicely said. I spent a month in India a few years back. I hadn't any idea what to expect when I arrived but soon learned there as not point in hurrying. It's a country with it's own beat. I wish all success in connecting with an agent. Don't worry, it will come when the Universe wills. You had been to India. I'm sure you'll get the drift of this post better. And, as you say, it's a country with it's own beat and we march accordingly. Susan - I was deeply moved by the underlying metaphor of your message! Waiting is such a conditional, empty and ill-spent emotion/time. Standing on queue to make a purchase, or vote are givens, but if we wait for the rest of life to sweep us up and give us what we feel we need...we ignore and pass up so many beautiful things and opportunities. What do each of us really need. "Want" is not the objective. I agree that we (globally) have come to expect the results of want...but our real needs are much simpler. To make my point simply...I "want" to live...but I need to make my legacy worth remembering and of value. Priorities are difficult to corner, harder to live...and if thought through sensibly, of much greater value to guide future generations. I am glad that this post touched a chord, Ron and you are right when you say that we are made to wait and in the process lose out on so many things. I tried calculating the amount of time we lose when we wait and I was completely zapped by the number. You have added a very philosophical bent of thought to this everyday phenomenon of waiting. Thanks for that. He also serves who stands and waits...milton??? I’ve waited in a medical clinic for an entire afternoon, only to be told they were short on doctors and come back another time. Long story short: I left and went to Immediate Care and never again returned to said clinic. Enough already. Glad you made a decision on the spot and ventured to not go back. Sometimes, we have no choices here! he he he :) I liked the way the word wasting was written and then striked out :) that made me smile for some reason .. Waiting.... has so many more shades. All I can think of wait in relation to our country is "Sabar ka phal meetha hota hai"
May that was fit into our minds too early so we tend to believe the wait will always be worth while. What say? Many shades when one is in India! And as for the proverb, I don't think I will subscribe to it as that proverb sometimes sounds like a valid reason for waiting. Glad to see you, dear Sam. Hope you are having a ball of a time. Write to me. Earlier, I was working in the sales line and collecting outstanding money was one of my functions. Private companies (some) and Government companies (almost all) make people like us wait, wait and wait for such a long time before giving a small payment! This, if the work is done properly. After having waited quite a lot, these days I have become quite patient! Oh, yes it does teaches you patience but have an empty mind. If one starts thinking about the ills of the system, then it becomes unbearable. Waiting is painful most of the times! !